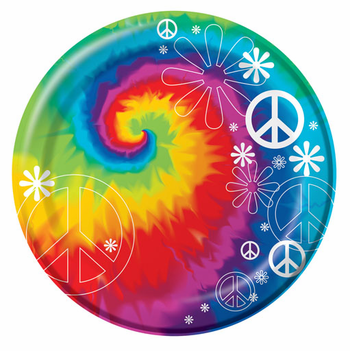 Tie Dye Fun 9" Luncheon Birthday Paper Plates 8ct. Tie Dye Fun 7" Cake Birthday Paper Plates 8ct. Tie Dye Fun Birthday Lunch Napkins 18ct. Tie Dye Fun Birthday Beverage Napkins 18ct. Tie Dye Fun Birthday Paper Cups 8ct. Ivory Plastic Forks Heavy Duty Cutlery 51ct. Ivory Plastic Soupspoons Heavy Duty Cutlery 51ct. Ivory Plastic Teaspoons Heavy Duty Cutlery 51ct.